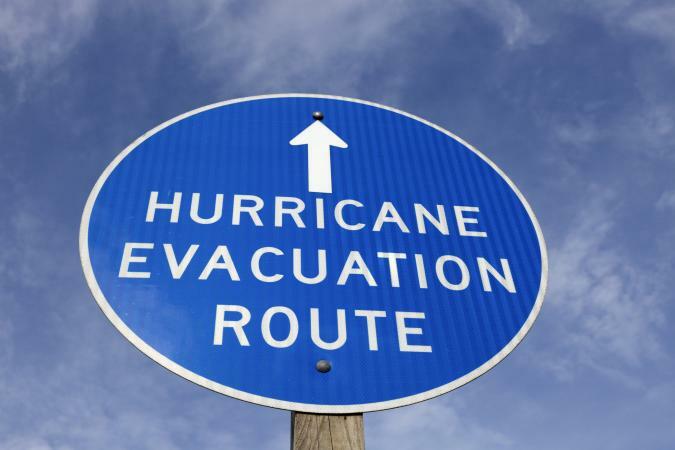 If you live in an area that can be impacted by hurricanes, you should get prepared in advance of hurricane season, as well as take additional steps in the event a watch or warning is issued for your area. Atlantic and Central Pacific hurricane seasons run from June 1 through November 30, but storms can and do occur outside these dates. Anyone who lives in areas at risk for hurricane impact should take preparation steps long before hurricane season begins. This includes all U.S. states bordering the Gulf of Mexico or Atlantic Ocean, as well as Hawaii and Mexico. While California has never been hit, a lesser possibility exists there, as well. It is not just coastal areas at risk because impact can be felt hundreds of miles inland. One week each May is designated as Hurricane Preparedness Week, which is an ideal time to make sure that all your advance preparation plans have been completed. Make sure you know potential evacuation routes in all directions away from the coast. Your local emergency management agency (EMA) is the best source for this information. Flash.gov has a fairly comprehensive list of evacuation recommendations for high-risk locations. Familiarize yourself with hotels along the route that can meet individual needs such as accessibility, pet-friendliness and long-term stays. Familiarize yourself with the locations likely to be opened as storm shelters in your local area in the event of a hurricane as well as any applicable restrictions. For example, most shelters do not accept pets, and there may be particular locations designated for people with certain types of special needs. This information is generally available from the local EMA. If your state offers a tax-free holiday for severe weather supplies, this is a great time to stock up on these kinds of items. 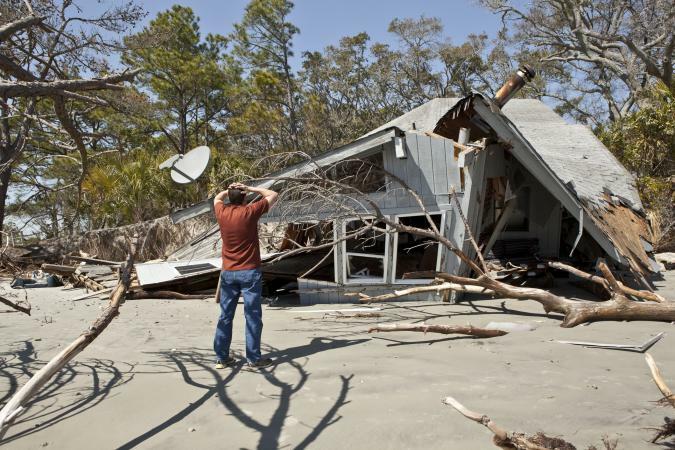 These items will help protect you during the immediate aftermath of a hurricane and clean-up. Make a plan for taking your pet with you if you have to evacuate or locate safe kennels for boarding. Get familiar with local shelter policies regarding pets (keeping in mind that very shelters few accept animals) and hotels along the evacuation routes that accept animals. Post a pet rescue alert sticker on your home (available free from the ASPCA) to let rescue crews know to look for animals inside. Ensure your home and other building structures meet hurricane building codes for your area. Purchase or build hurricane shutters or invest in plywood to cover windows, glass doors and other weak spots. Verify that your insurance policies are adequate to cover potential damage, including damage from wind, flooding, and water. Keep in mind that homeowner's insurance may not be sufficient, as it doesn't typically cover every peril associated with hurricanes. Create an inventory of valuable possessions and back it up to cloud storage. It is also a good idea to store hard copies in a secure location, such as a safe deposit box or with a trusted friend or relative outside the hurricane danger zone. These free printable home inventory forms are a good resource for this task. Store electronic copies via the cloud and multiple hard copies in secure locations. It's also a good idea to put these documents in an emergency binder that you can take with you if you need to evacuate. Prune trees and other plants so they are not close enough to structures to cause inadvertent damage. Additionally, Allstate Insurance points out that rock or pea gravel used in landscaping can become dangerous projectiles during a hurricane. They recommend "replacing the materials with shredded bark or other soft mulch." 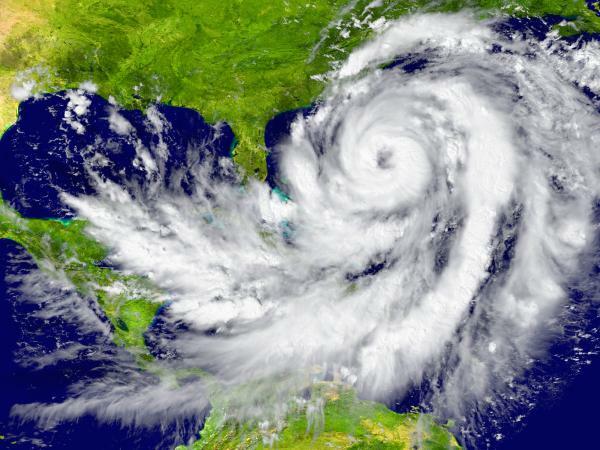 Perform key household maintenance tasks to prepare for hurricane season. This includes cleaning rain gutters and inspecting your roof, taking care to replace damaged shingles and secure any that are loose. When hurricane watches and warnings are issued, it is time to begin more urgent preparations to weather the storm. A hurricane watch indicates that hurricane conditions are possible in a designated area within 48 hours. A hurricane warning indicates that hurricane conditions are expected in a designated area within 36 hours. Predicted courses can shift unpredictably, so it's important not to focus too closely on the projected path. It's important to be prepared. Check the National Hurricane Center's website for frequently updated forecasts, discussions, and maps indicating wind speed probabilities and impact areas to stay informed of the most current information on the storm's expected track. Fill the gas tanks of all vehicles because it may be difficult to purchase fuel immediately before or for a while after a storm. Be sure your tank is full prior to evacuation since gas stations along evacuation routes often experience shortages during heavy evacuation period. Purchase additional fuel in gas cans to use in your generator, chainsaw and dual-fuel camping stove after the storm. Withdraw extra cash from bank accounts and print updated financial statements. This is because ATMs, credit card machines, and internet services may not be accessible for a while after a hurricane. 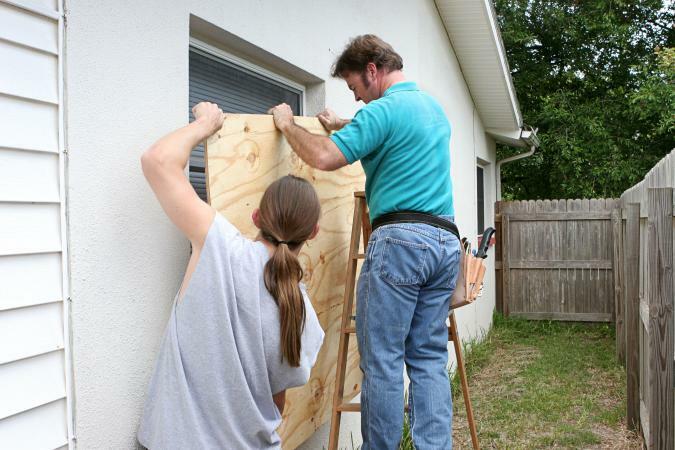 Secure your windows by covering them with hurricane shutters (if you have them) or by boarding them up with plywood. Do not tape your windows. The idea that you should put masking tape on windows when preparing for a hurricane is a myth. This has not been advised since the early 1980s. At best, it is a waste of time and at worse it increases risk of injury from broken glass. Bring in any outdoor items that can be taken inside, such as lawn furniture, potted plants, bird feeders, yard tools, toys, etc. Tie down other outdoor items to secure them, such as your gas grill (it is not safe to store propane indoors, even in the garage). Cover your pool, outdoor vehicles and other items with securely fastened tarps to minimize damage. Take stock of the household emergency supply kit that you put together before hurricane season to make sure you have sufficient supplies of all the items you may need during and after the storm. Be sure you have plenty of batteries for your flashlights and radios and charge them in advance of the storm. Also purchase charcoal to use for after-storm cooking of food that thaws. Make sure you have plenty of paper towels, toilet paper, tissues and disposable plates and glasses on hand as well. Stock up on nonperishable food and beverages, keeping in mind that your family may be dependent on these items before and after the storm. It's a good idea to make sure you have at least a week's worth of food on hand. Purchase items that don't require cooking or refrigeration and that provide nutritional value (such as canned tuna or beans, peanut or other nut butter, nuts protein bars, whole grain bread or cereal, etc.) in addition to snack food items (chips, crackers, candy, etc.). Buy individual containers of beverages, such as juice boxes. Instant coffee is also good to have on hand. Because it's likely you'll lose power early in a hurricane, find ways to use perishable food that you have in advance of the storm. For example, milk, eggs and butter will go bad quickly once the refrigerator is off, but you can use them to prepare cookies in advance of the storm and they don't require refrigeration. Use your slow cooker to prepare a hot meal that will stay warm for a while after the power goes out. Make sure you have plenty of drinking water on hand. You can purchase bottled water as well as store tap water. The Centers for Disease Control and Prevention (CDC) indicates, "a family of four needs 12 gallons of water in their emergency supply," which is enough for three days. This is likely enough to have on hand during the storm, but you may want to consider making sure you have more on hand in case there are problems with the drinking water after the storm. Consider freezing some bottled water ahead of time and placing it in ice chests shortly before the storm is expected to hit so you'll have access to cold water as it thaws. Adjust the temperature in your refrigerator and freezer to the coldest settings. The more full your freezer is, the longer it will stay cold. Don't go buy extra food, but do place bottled water or food storage containers filled with tap water in empty spaces in your freezer. This will help keep food frozen longer after a power outage and provide you with cold drinking water as it starts to melt. Place an appliance thermometer in your freezer so you can make a wise decision about food safety after the storm. Fill your bathtub, washing machine, and sinks with water so you have access to water other than your drinking supply to flush toilets or wash surfaces during and after the storm if water service is interrupted. Get all prescriptions filled and purchase a sufficient supply of any over-the-counter medications to cover your family's needs for a few weeks. Keep all medications together so they can easily be gathered and packed in the event evacuation becomes necessary. Stock up on food and medication for your pets. Keep a go-bag emergency kit handy that includes a leash, pet first aid supplies, and other items necessary for travel with pets. If you will need to board your pets through the storm, make arrangements as early as possible, as kennels in safe areas will likely fill very quickly. Make alternate arrangements for them if you are leaving and boarding is not possible. Do not leave your pets at home alone during the storm. Follow all hurricane evacuation instructions from EMA officials. If you live on or very close to the coast, in a flood-prone areas or in a mobile home in a warning area, there is a good chance that you will fall under a mandatory evacuation order. Even if you are not under mandatory evacuation, it may be in your best interest to leave the area, especially if you are expecting or if your family includes people who are elderly, very young or have special medical needs. Once a mandatory order is issued, traffic will become very heavy and you should expect significant delays. It is a good idea to leave early if you know you don't want to stay put during the storm. If you will weather the storm at home, choose the safest spot in your home for your family to gather. This should be an interior, ground floor room with few or no windows. This is often a bathroom, closet, or stairwell. Gather your emergency supplies to have on hand in the room, as well as sleeping bags, some food, drinking water, flashlights and other items you may need during the hours of the storm. You may also want to bring in board games, books or favorite toys to help keep kids occupied. If you are planning to stay home, lower the air conditioner temperature several hours in advance of storm impact, even if this means you need to put on a sweatshirt or sweater. This will help keep your home cool for as long as possible following loss of power. Advise concerned family members and friends about your preparations and give them emergency contact information. Designate a particular family member or close friend who lives outside of the expected storm impact area to be the go-to contact for people to notify regarding their situation after the storm has passed. This will make it possible to know when everyone has been accounted for as quickly as possible. An area impacted by a hurricane can feel the storm for several hours or even multiple days, depending on the storm's size, how it is approaching, how fast it is moving, or if it stalls. Hurricanes are extremely dangerous. Survival can depend on following key safety tips during hurricane conditions. Stay indoors at all times because flying debris and wind gusts are extremely dangerous. Do not go outside, even if the storm appears to have subsided, as this is likely the eye of the storm. The eye can pass quickly and without warning, leaving you exposed when strong winds resume. Keep updated by watching weather forecasts and news coverage as long as possible although you will lose access once the power goes out or your antenna or cable service is interrupted. Once that happens, listen to your battery operated radio or monitor via your cell phone as long as service is available. Do not wander around the house during a hurricane. In particular, stay away from windows and doors, even if they are locked and/or boarded shut. If you live in a multi-story house, do not go upstairs. Once storm conditions start to intensify, go to the chosen safe room and stay there. When your home loses power, turn off your air conditioner, water heater, and any other major electrical appliances that are running to reduce the chances of them being damaged due to power surges. Help keep family members stay calm by engaging in activities that are as normal as possible. Board games can be a good way to keep everyone occupied in a constructive way as can telling stories or reading aloud from books. 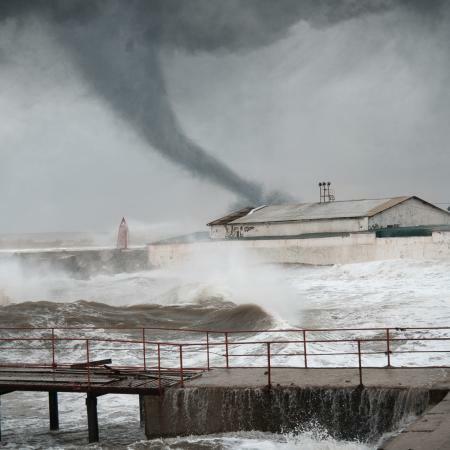 According to the National Oceanic and Atmospheric Administration (NOAA), "Almost all tropical cyclones making landfall in the United States spawn at least one tornado." It's important to stay alert to this possibility, being mindful of warning signs and following all tornado safety tips that are feasible in light of the hurricane conditions. Be sure all family members take medications as scheduled since it may be difficult or impossible to get medical assistance even in a crisis situation. If anyone gets injured, immediately tend to all first aid needs. After the power goes out, avoid opening the refrigerator and freezer as much as possible. This will help keep the food inside cold and safe for as long as possible. Don't use your phone (cell or landline) for any reason other than a true emergency that warrants contacting the authorities to request assistance. After the hurricane has passed, the sense of relief can be overwhelming. However, additional caution is necessary to avoid dangerous situations from the storm's damage. Follow important tips to stay safe and begin the recovery process. Listen to local officials for updates and instructions, venturing outdoors only when you are certain that it is safe to do so. Do not venture outside after a hurricane in shorts or sandals. There may be significant debris and standing water, so wear waterproof, closed-toe shoes, long pants and a long sleeve shirt. After a hurricane, all kinds of hazards are possible. When you venture out, watch for (and stay away from) downed or weakened trees and limbs, debris, standing water, flooded or heavily damaged structures, downed power lines, etc. Family members who may not be able to stay away from hazards should not venture outside, such as kids or those who are elderly, disabled, or injured. Keep pets indoors as well. If you are involved in cutting trees or limbs, follow all power tool safety precautions. Chances are there will be a lot of physically demanding work that needs to be done following a hurricane. It is important to avoid over-exerting yourself or risking injury during the clean-up. It may be difficult to get proper medical care following a bad storm if you injure yourself. It's also important to take steps to avoid heat exhaustion or heat stroke. Stay home and avoid travel to keep roads open for emergency vehicles. If evacuation was necessary, return home only when authorities indicate it is safe for you to do so. The instinct to go home and check on your property is strong, but you have to realize that roads and bridges may be flooded, blocked by downed trees, or have sustained damage that makes it unsafe for you to travel. Plus, hurricane-related flash flooding can occur in areas far away from the storm's actual landfall area. While it's natural to want to check in with loved ones and let family members know you are safe, try to do this via text messages or your social media profiles. This helps to keep phone lines clear for emergency services. If you see damage to utility equipment, such as downed power or gas lines or broken water mains, immediately report them. Stay away from them. If your property sustained damage from the storm, take pictures to have a record of the immediate aftermath. This can be very helpful for insurance purposes. Take steps to protect your property from sustaining further damage where practical and safe. For example, if your roof is damaged and there are not hazards like loose limbs in the area, cover it with a tarp. According to EatRight.org, you should not eat any food or beverages that have come into contact with flood water. This is true even if the items are in sealed containers other than metal cans. Refrigerated perishables generally safe for up to a four-hour power outage; if they have been at over 40 degrees Fahrenheit for more than two hours, they should be discarded. Frozen food that has not reached more than 40 degrees Fahrenheit can be safely refrozen (if power is available). If not, continue thawing, cook (using your camp stove or grill). Once it is cooked, you can eat it, share with neighbors or store in your ice chest (if ice is available). It is critical to take steps to protect yourself, your family, and your property before, during, and after a hurricane. These tips, though fairly comprehensive, don't include every single thing you should do or take into consideration - but they do provide a good start. If you live in an area where hurricanes are possible, educate yourself about these powerful storms and take all watches and warnings seriously. Above all else, pay attention to the advice of emergency management officials in your local area. Failing to take appropriate safety precautions can cost you your life.